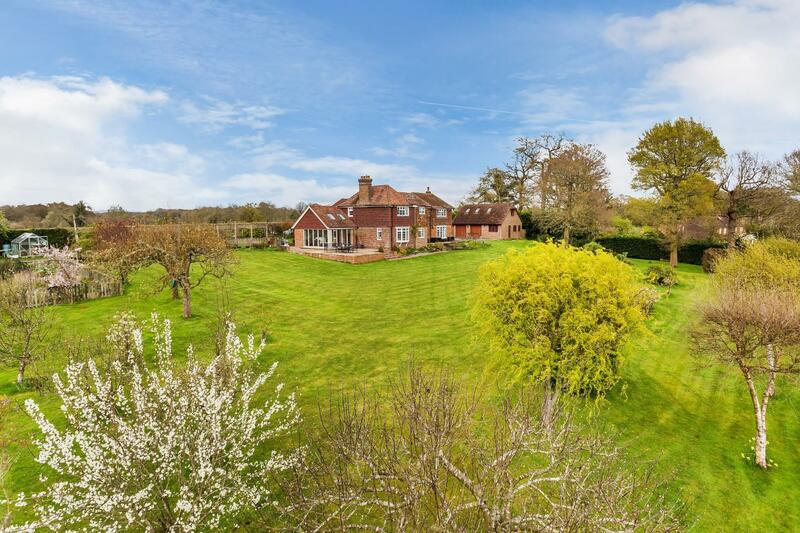 This impressive, four bedroom family home set in over an acre of gardens with beautiful views of the Sussex and Surrey countryside. In addition, there is double garage with two further bedrooms above and with ample parking for the whole property. Internally, the property has been extended and updated throughout to the highest standards and must be viewed. The ground floor sits on solid oak flooring which runs throughout the main living room, family room and two further rooms, currently being used as offices. The main living room features a Limestone Fireplace with a log burning stove with two bay windows making this a bright and airy living space. The additional living room again features a log burning stone, bay window and has an office space attached. This charming character cottage offers original Victorian features, history, two acres of land in a beautiful rural setting. This five bedroom detached property was originally an estate cottage to the now Grade II Listed High Barn. It was designed in 1906 by Sir Robert Lorimer, the famous architect, for the gardener and his family. Although the cottage is curtilage listed, the owners have had extensive planning permission granted to extend the house to approximately 4,200 sq ft, add a 700 sq ft 3-bay garage and restore many of its original features. Garden Cottage benefits from a beautiful walled garden with southerly aspect, a productive orchard, vegetable plot, extensive lawns and a small woodland, all set in just over 2 acres. Within the orangeries which have maintained many original features there is a productive vine, a miniature orange tree and abutilon. 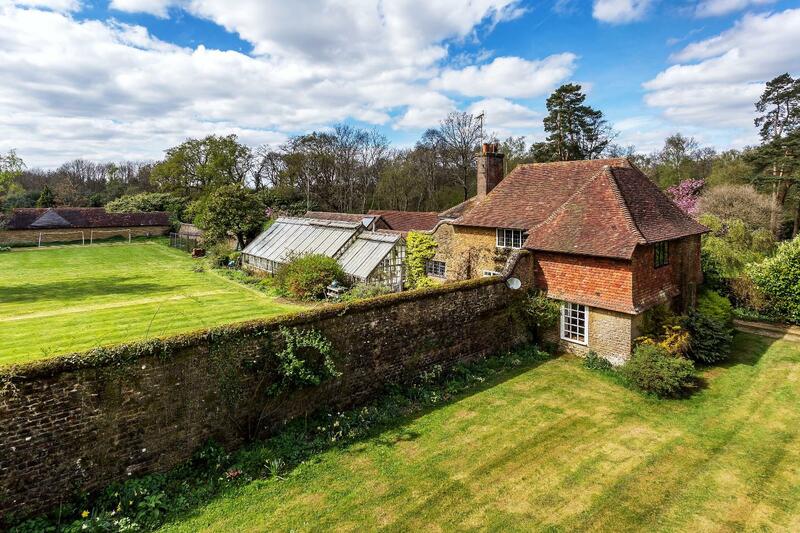 The beautiful and mature garden is largely enclosed by the high Bargate stone wall and is laid to lawn with well stocked shrubberies, shrubs, a fruit orchard, specimen shrubs, a vegetable plot and colourful flowerbeds. A further 0.7 acre can be found to the front of the property, which offers the perfect opportunity to add a games court for summer activities, subject to the usual planning consents. 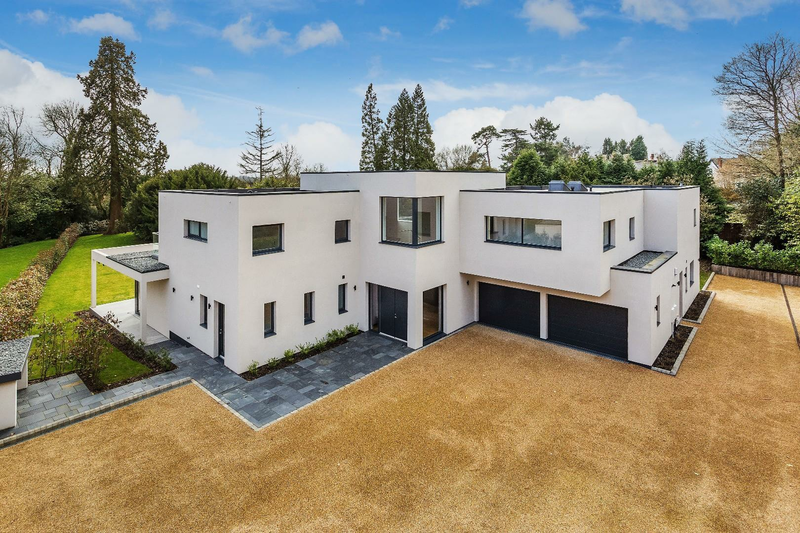 Surrey Estates are delighted to offer to the market this superb six bedroom contemporary family home set in the beautiful village of Witley. 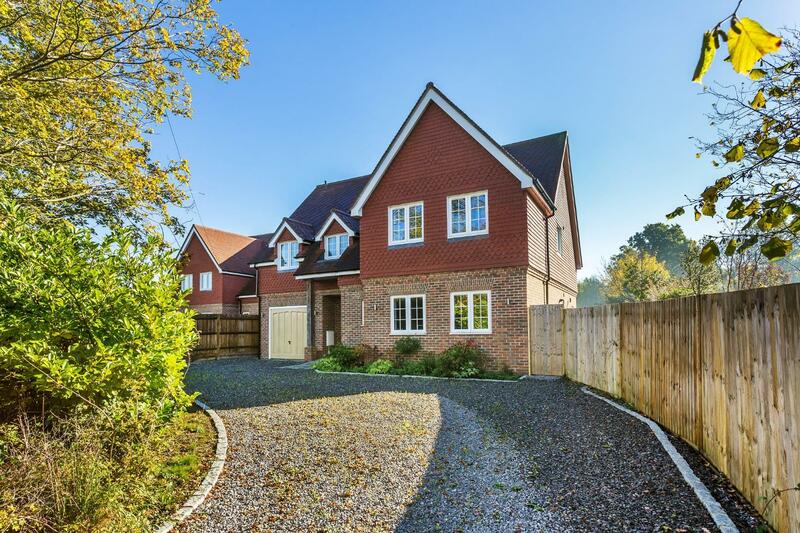 Built only two years ago, the property boasts enormous living space, ample parking, large family garden, exceptional family living room and great access to London via local train station and A3. 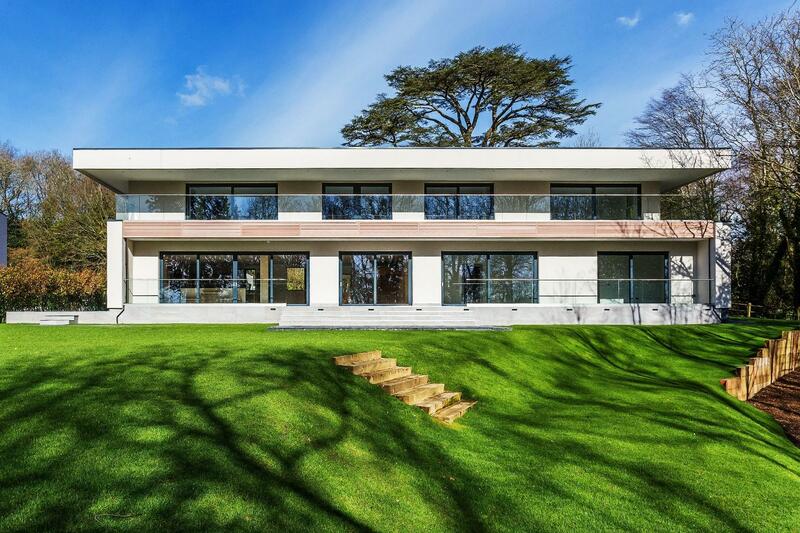 The main feature of the ground floor is the family kitchen/ living room which is exceptionally spacious and with independent bi-fold doors accessing the rear garden. The kitchen area has extensive cupboard space, breakfast bar and centre island. The remainder of the ground floor consists of guest bedroom with beautiful en-suite, second living room, perfect for childrens play room, main living room boasting a Limestone fireplace with electric fire, study, family shower room, large utility room and storage cupboard. Moving upstairs via the decorative oak and glass staircase there are the additional five bedrooms including the master bedroom with walk-in-wardrobe and en-suite. The family bathroom is spacious with shower, free standing mood-lit hydrotherapy bath, basin and W.C, the perfect place to relax and wash away the day.